Since the last ten years most Afghan youths are keen to fashionable clothing in Afghanistan. Thus, Afghan businessmen import new designs of garment from the eastern and western countries. In addition, there are some companies mingling new styles to Afghan clothing. For example, Afghan Fashion House is one of those. Today, all Afghan clothing stores are packed with fashionable clothing mostly imported from China and some other European and western countries. Clothing stores are packed with the girls and boys buying new clothing styles while a decade ago Afghan girls were not allowed to go to out of their houses and boys were not allowed to be stylish. Today, they are not only allowed to be stylish and to come out of their houses, but there are some female centers training the girls to innovate different clothing styles. For example, Afghan Fashion House belongs to Afghan women. Experienced seamstresses are applied there and teach those Afghan women who are keen how to design clothing. 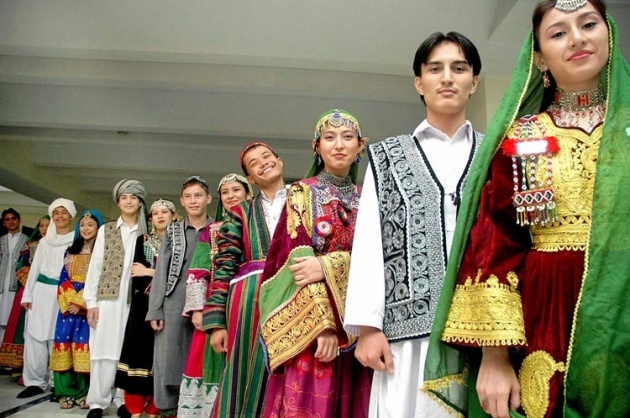 for instance, they learn them how to mix western style to Afghan clothing. This is something that Afghan youths have liked it, and are eager to wear something new. On the other hand, Afghan Fashion House is trying to increase the Afghan fashion among Afghan youth and other countries around the world. Afghan people have their own fashion (national clothing), but they would like to mix it with western style in order to bring something new out of it. There for, we can say that Afghan women have improved and they can have a dynamic participation along with Afghan men in bringing development in their country.